Tender, buttery banana muffins liberally studded with smooth, dark chocolate chips!! Snacktime, served in 20! Rat-a-tat-tat!! The landlord slinked over, suited up, long jet-black locks pulled into a man bun ready to paint our house with a moment’s notice. Hmm. This instant? Okay, it is your house after all. Vibrant yellow (the color of my dreams)? Nope. Perky rose (the current color)? Uh uh. I’ll take it! A fresh paint job and I don’t even have to lift a finger!! So I put on a smile, tied on an apron, and baked a dozen banana chocolate chip muffins for the painting crew, which so happened to include my little girl’s 5 year-old bestie. Stirring together a batch of these banana chocolate chip muffins took less than 5 minutes. 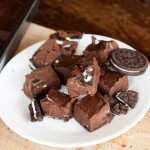 In fact, I took a break from my 30-minute workout with Katie to pop these in the oven. Ridiculously fast. As in, I-almost-feel-guilty-buying-store-bought-ever-again fast. Which camp do you side with? This banana muffin recipe bakes up soft, fluffy muffins with a tender crumb and mellow banana flavor. 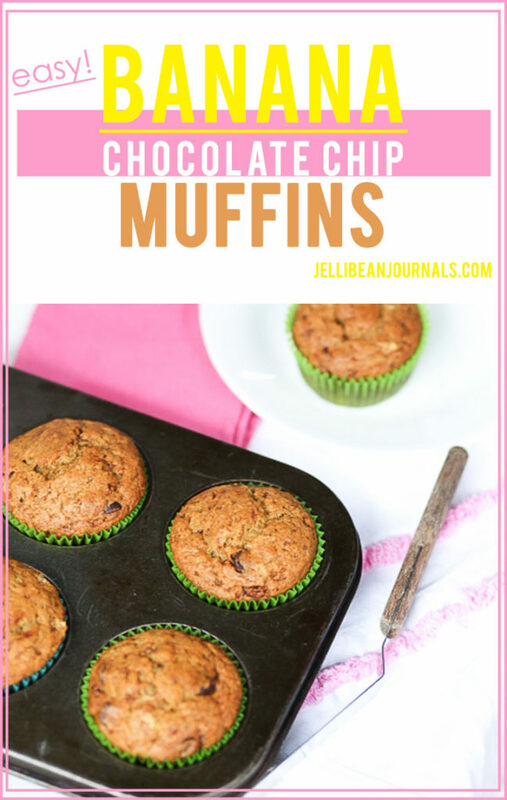 An ample cup of chocolate chips sprinkled throughout each tender banana muffin just makes them all the tastier! MUFFINS FOR EVERYONE!!!! Let’s do this! Whisk flour, baking powder, soda, salt, and sugar in a medium bowl. In another large bowl whisk egg, butter, and cinnamon. Stir in mashed bananas. Stir in dry ingredients and add chocolate chips. Stir to combine. Divide among 12 muffin cups. Bake 20-25 minutes until golden and a knife inserted removes clean. Devour! P.S. These muffins are 100% paint-crew approved! They devoured the tray and washed them down with mugs of hot coffee. YUM! P.P. S. Totally in love with these dainty tea party-esque cupcake wrappers! Swoon!! What muffin recipe would you like to see next? Comment below and we’ll do it! How many bananas as they are not a listed ingredient? Eek! So glad you caught that, Pat! I used 3 mashed bananas. I’ll get that adjusted right now. We eat muffins all the time for quick breakfast and snacks. Love to freeze them and use as we need them. One of our favorite muffins to make and enjoy. Wow, I love banana nut muffins but since my new found allergy of nuts I avoid them! This is a great alternative! Yu! I love it when you can combine two things into one. Banana bread and chocolate chip muffins put together his got to make a heavenly mix. 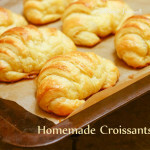 I think I’m going to make these in over the weekend. 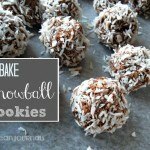 You’ll have one tasty weekend, Jeanette, when you whip up these bad boys. The chocolate chips really seal the deal! I would love to try my banana bread recipe in muffin form. That way I could freeze most of it and only take out muffin servings to enjoy instead of eating the whole loaf! Yes! Making muffins is a great way to be able to pop out only as many as you need at a time. I find that freezing things like scones, muffins, and even muffin tops makes it really easy to serve up a snack for unexpected guests. Kimberly, these muffins would also be stellar with raisins in place of the chips if you’d like to lower the sugar content. Hope you give them a whirl soon. Thank you for stopping by. Yum. 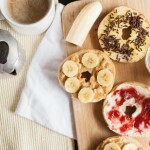 We love bananas around here so this would be a great breakfast or mid afternoon snack. Hope you give the banana chocolate chip muffins a whirl, Jenny! I’m sure your family will love them. Thanks for the reminder. We have a bunch of overripe bananas and I need to make muffins asap! 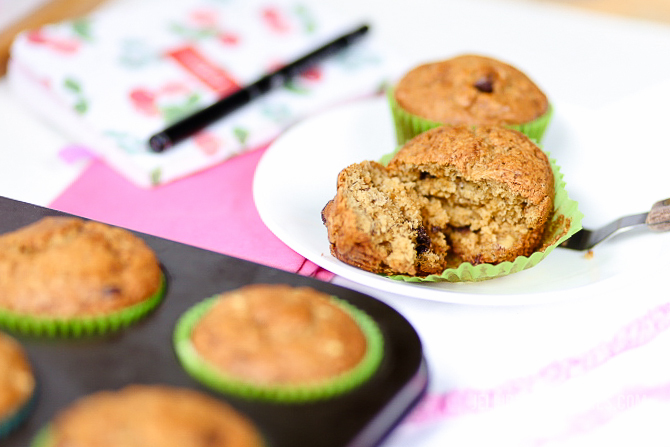 Overripe bananas were made for muffins….and banana ice creams! I haven’t made muffins in so long, but these sound amazing. I love chocolate chip muffins too, so I can’t wait to try these. I wish I had your fervor! I usually don’t even think about the crew that’s there if they’re working on my house because my nose is in something else if I’ve got the extra time. Good for you! I’m sure they LOVED them because they look delicious! Yum, banana chocolate chip is one of my favorite flavors for muffins. These sound so good, I am getting hungry. I have a little muffin man and he loves banana chocolate chip muffins. I can’t wait to try your recipe. The cinnamon roll and blueberry banana ones sound really good too! When my kids were smaller I had to hide veggies in muffins just to get them to eat veggies. They never knew what was hidden inside. .
Haha, Tina, you’re right! Hiding veggies in muffins is a great way to get kids to eat their zucchini, carrots, and a handful of other veggies they may otherwise fuss over. 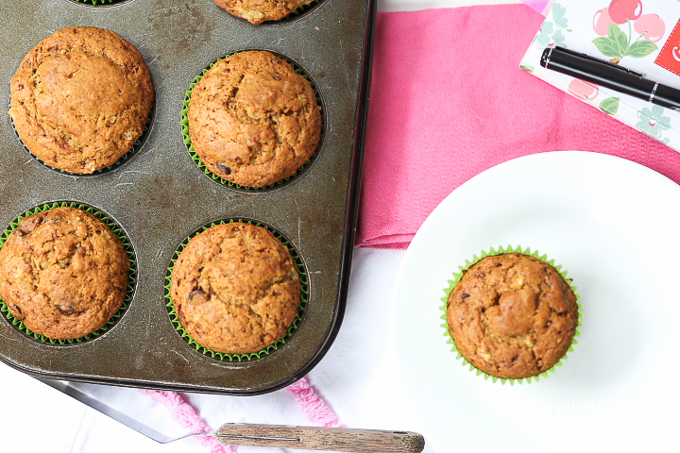 Hope you and your little muffin man enjoy this recipe too! Blueberry muffins. Sigh… My favorite muffins ever! Nevertheless, these banana chippers are a close second! Hope you give them a try, Anosa! I can only imagine how divine it smelled in your kitchen after removing these yummy cupcakes from the oven. They look delicious! You bet, Aneta! Not a week goes by without some kind of muffin baking going on ’round these parts. Hope you give the banana chippers a try. My kids would absolutely adore these! They look perfect. I love banana and who doesn’t love chocolate chips?! I’m right on trackwith you, Debra! Cannot resist banana or chocolate! I would be happy with just banana muffins. 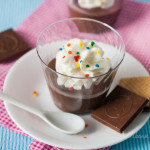 But you leveled up this recipe by adding chocolate chips! This is a must try! Oh, and those cupcake liners are so cute too! It sounds like a delish muffin!! We love banana things here, but sometimes they come with fruit flies, so we just skip them. Although if we blend them into a bread or muffin right after the grocery store, I’m all for picking them up. I wish the grocery store could keep the pests down a little. Those pesky fruit flies do love a good banana, don’t they? If you like to bake with bananas and avoid the pests, you might consider cutting the bananas into chunks and freezing them for cooking later. 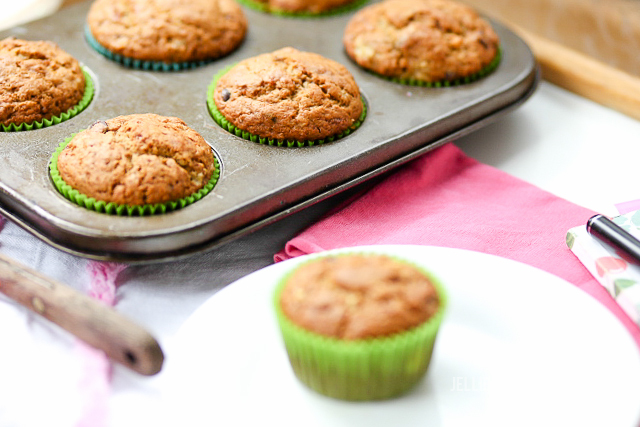 Frozen bananas work well in muffins and thaw out in just an hour or so. 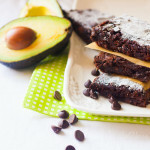 We can’t go a day without bananas so I’ll need to try baking these with the kiddos. They look so easy to make and we love banana bread. Thanks!